The Separation Lake area (not a formal geographic name rather an area around the lake that includes primarily Paterson Lake Area & the Treelined Lake Area) is host to the most important rare-element pegmatites in Ontario, Canada. They include the Big Whopper and Big Mack petalite pegmatite systems which potentially represent the world's second largest lithium deposit of this type. The pegmatites occur in two distinct clusters adjacent to the Separation Rapids pluton which is thought to be the source of the rare-elements. 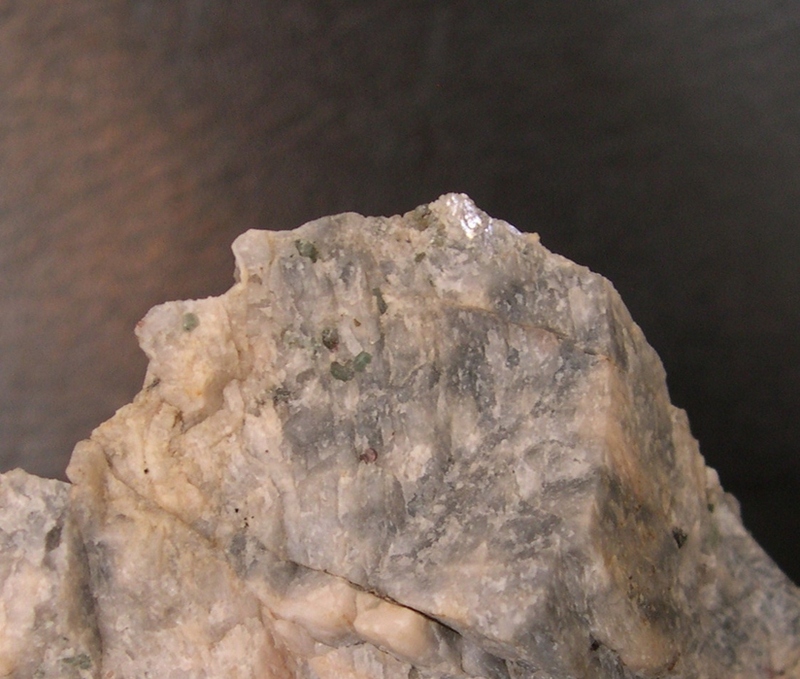 Beryl-type and complex-, petalite-subtype pegmatites are the most common and a few pegmatites have characteristics similar to the lepidolite-subtype. 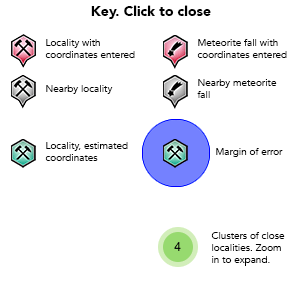 There are currently 29 recognized pegmatites in the area. 49 valid minerals. 1 (FRL) - first recorded locality of unapproved mineral/variety/etc. Reference: Tindle, A.G., Breaks, F.W., and Selway, J.B. (2002) Tourmaline in petalite-subtype gramitic pegmatites: evidence of fractionation and contamination from Pakeagama Lake and Separation Lake areas of northwestern Ontario, Canada. Canadian Mineralogist, 40, 753-788. Reference: Canadian Mineralogist 36, 609; Tindle, A.G., Breaks, F.W., and Selway, J.B. (2002) Tourmaline in petalite-subtype gramitic pegmatites: evidence of fractionation and contamination from Pakeagama Lake and Separation Lake areas of northwestern Ontario, Canada. Canadian Mineralogist, 40, 753-788. Reference: [AmMin 84:992]; Tindle, A.G., Breaks, F.W., and Selway, J.B. (2002) Tourmaline in petalite-subtype gramitic pegmatites: evidence of fractionation and contamination from Pakeagama Lake and Separation Lake areas of northwestern Ontario, Canada. Canadian Mineralogist, 40, 753-788. Reference: Tindle, A.G. & Breaks, F.W. (1998) Oxide minerals of the Separation Rapids rare-element granitic pegmatite group, northwestern Ontario. Canadian Mineralogist, 36, 609-635.; Atencio, D., Andrade, M.B., Christy, A.G., Gieré, R., Kartashov, P.M. (2010) The pyrochlore supergroup of minerals: nomenclature. The Canadian Mineralogist: 48: 673-698. Breaks, F.W. and Tindle, A.G. (1997) Rare-metal exploration potential of the Separation Lake area: an emerging target for Bikita-type mineralization in the Superior Province of Ontario; Ontario Geological Survey, Open File Report 5966, 27pp. Tindle, A.G. & Breaks, F.W. (1998) Oxide minerals of the Separation Rapids rare-element granitic pegmatite group, northwestern Ontario. Canadian Mineralogist, 36, 609-635. Tindle, A.G., Breaks, F.W. & Webb, P.C. (1998) Wodginite-group minerals from the Separation Rapids Rare-Element Granitic Pegmatite Group, northwestern Ontario. Canadian Mineralogist, 36, 637-658. Tindle, A.G. and Breaks, F.W. (2000) Columbite-tantalite mineral chemistry from rare-element granitic pegmatites: Separation Lake area, N.W. Ontario, Canada. Mineralogy & Petrology, 70, 165-198. Tindle, A.G. and Breaks, F.W. (2000) Tantalum mineralogy of rare-element granitic pegmatites from the Separation Lake area, NW Ontario, Canada. Ontario Geological Survey, Open File Report 6022, 378pp. Tindle, A.G., Breaks, F.W. and Selway, J.B. (2002) Tourmaline in petalite-subtype granitic pegmatites: evidence of fractionation and contamination from the Pakeagama Lake and Separation Lake areas of NW Ontario, Canada. Canadian Mineralogist, 40, 753-788.